CONWAY, Ark. (AP) – One Conway resident is transforming old AM/ FM radios and giving them uplifts with modern technologies. He said one day he was sitting in his office and decided to clean, organize and redecorate it. Snyder said while the room looked awesome and well-kept, there were several eye sores, including the “crummy looking” computer speakers that he was using. From that, he said he began thinking about the opportunity to use an old radio as a computer speaker, which lasted until 2015 when it broke and he decided that if he was going to fix it, he wanted to do it in a better way. “That’s when (I) started messing around with Bluetooth and figuring out a system that would work,” Snyder told The Log Cabin Democrat (http://bit.ly/2jnriiL ). In June 2016, he said he started Retrophile Radios and since then, he has repurposed around 30 radios. The first radio he said he fixed was a Nobility Transistor Radio that belonged to his dad when he was a kid. Snyder said the radio sat in his dad’s headboard and he would listen to St. Louis Cardinals games late at night when he was supposed to be asleep. Snyder said through fixing his dad’s radio, he realized he could take products that belonged to others and give their old stuff new life and modern functionality. Snyder said he, alongside Retrophile Radios’ other member Zack Harrison, has started messing with other projects including turning old brownie cameras into lamps and pianos into desks. “We’re just experimenting with how can we take that idea and bring it to other things . relics of the past that meant something . let’s keep them alive,” he said. Snyder said they want to continue to keep the business small, like a side project for both of them. Snyder said people may be able to go out and buy a brand new Bluetooth speaker, which might sound better, but investing in radios that are 70 to 80 years old and have had all kinds of experiences and wear and tear is so much cooler. “Something that we talk about a lot is (that) we see something and we forget how old it is,” he said. Snyder said he’s worked on radios that may have played news reports from the Vietnam war or possibly told people of President John Kennedy’s assassination. Snyder said Retrophile Radios and what they do is still pretty new to people, but so far they’ve garnered a lot of support. Zack Harrison said he got involved because he found an opportunity to utilize his creativity. Harrison said his favorite part has been getting to work with such amazing pieces or technology. “We’ve got to work with radios from the 30s, pianos from the late 1800s and every piece is very unique and different in its own way,” he said. Harrison said every piece is different. “I feel like the fact that our pieces can actually speak and connect to our people is what really draws them in,” he said. 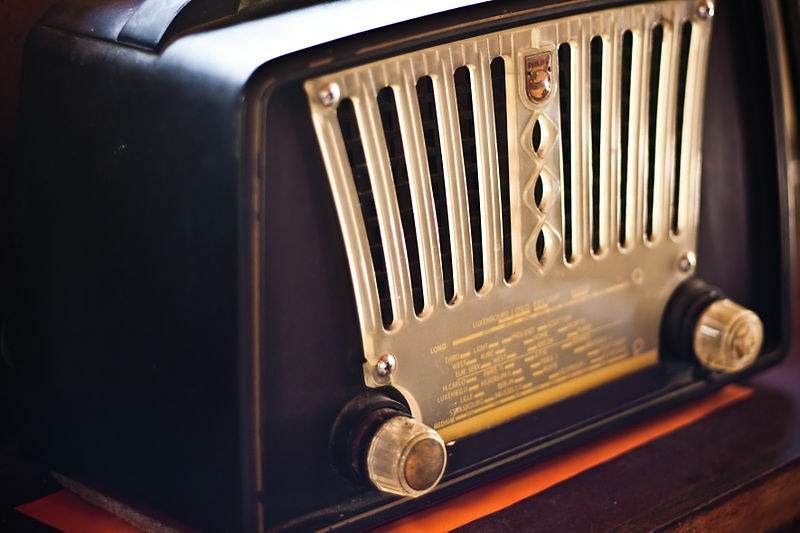 “It has to capture a very specific person’s eye for them to want to own it or they can bring a radio that belonged to an older family member and we can give it new life.